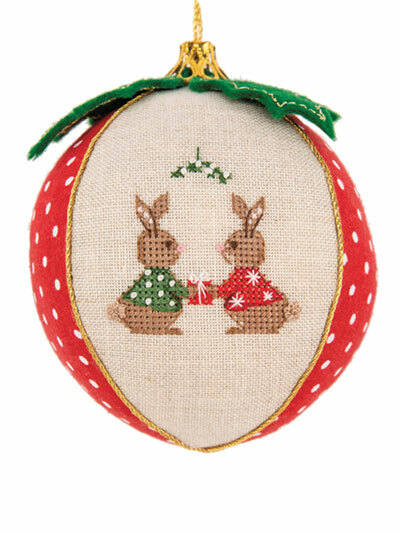 Two adorable bunnies exchange a gift on a precious ball-shaped ornament design. Finished size Rabbits: stitch count: 32H x 33W; design size: 1 2/3" x 1 2/3". 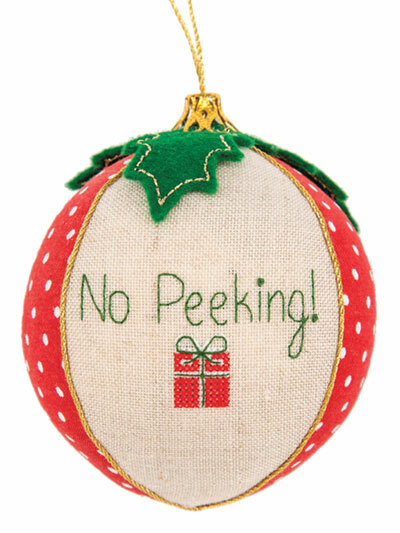 Finished size No Peeking: stitch count: 23H x 40W; design size: 1 1/4" x 2". Previously published in Just CrossStitch December 2018.